Skillset can accurately predict when you know enough to pass your exam. We back this up with a money back guarantee and a replacement exam voucher. 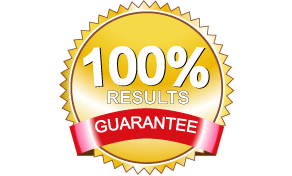 If you reach 100% readiness, and fail your exam, Skillset will refund you as well as pay for a replacement exam voucher. On average, Skillset learners save 31% (roughly 22 hours) of study prep time to achieve their desired certification. Our learning system only teaches you what you need to know, not stuff you have already mastered. When Skillset senses you are ready to learn an important topic, we present the perfect targeted micro-training module. Short and directly to the point, the training teaches you what you need to know in order to pass. THANK YOU! JUST BLOODY THANK YOU! Reach 100% Readiness with Skillset. If you don't pass on your 1st attempt we refund all monthly payments and pay for your 2nd shot.